Lebanese army claims terrorist killed while dismantling 'explosives,' 'spy device' on Hezbollah telecommunications network. The Lebanese military said one person was killed as Israel blew up a suspicious device after it had been detected in southern Lebanon on Friday. The official National News Agency (NNA) said earlier that a spying device had been found and blown up. "A military intelligence patrol found a suspicious device near the town of Adlun," the army said in an online statement. "While preparations were being made to inspect it, the Israeli enemy blew it up remotely, killing a civilian who was in the area." A security source identified the civilian to the Lebanese Daily Star as 25-year-old Hussein Ali Haidar, a Hezbollah explosive expert, and said as many as four explosive devices were planted on Hezbollah's telecommunications network. Residents of Adlun also told the daily that they reportedly saw an IAF plane hovering over the site moments before the explosion. The IDF Spokesperson's Office has yet to comment on the accusation. Lebanon has frequently reported "Israeli spying devices" being destroyed in the south of the country since its Shiite terrorist group Hezbollah and the Jewish state fought a devastating war in 2006. In January, a similar incident stoked already-high tensions between the two countries, after bickering over the exact location of a suspicious object ensued and Beirut accused the IDF of entering its own land unlawfully. 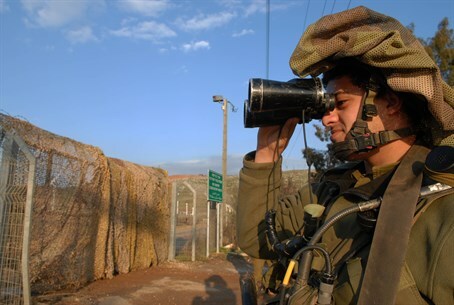 More than 100 people accused of spying for Israel have been arrested in Lebanon since April 2009, most of them army members or telecommunications employees. The incident follows heightened tensions between Israel and Lebanon once again, after several rockets were fired on Israeli civilians in the Galilee over the past two months during - and after - Operation Protective Edge in Gaza.